Customers can now go online to access complex reports related to their cash-less self-serve systems thanks to a new software program developed recently by ITC Systems. The company is a leading supplier of card-based transaction control devices and related software systems. 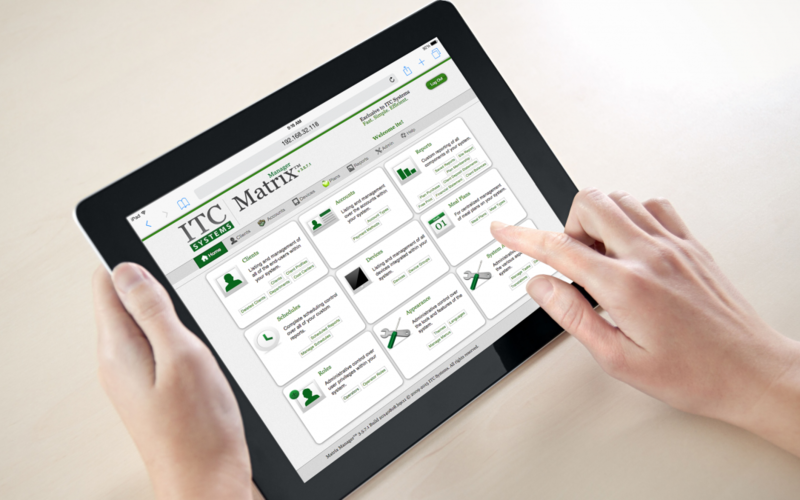 Its new Multiplan Matrix Manager provides extensive real-time online management for users of the companys Multiplan software program. Mr. Richardson notes that the new software allows administrators of ITC Systems Multiplan programs to log on to any computer through any secure Internet connection and perform administrative tasks or obtain tracking information related to food service, vending, copying, printing, laundry, parking and other self-serve payment categories. Administrators will also be able to allow specific merchants to securely view transactions and retrieve reports related solely to their own area of responsibility. This eliminates the need for channeling that information through a system administrator, and increases efficiencies for all parties. The Multiplan Matrix Manager has a vast range of capabilities, including the ability to schedule extensive email reports on a daily, weekly, monthly or yearly basis; these reports can also be adjusted according to each recipients security clearance. The system can support an unlimited number of operators and it also offers a virtually unlimited level of flexibility. ITC Systems is a multinational corporation with offices in St Louis and Toronto and it has been serving the cashless solutions market for the past two decades. For more information please visit www.itcsystems.com and click on our Live Chat button.